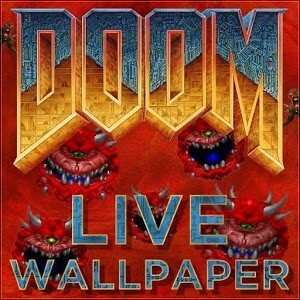 It’s the classic, nay, THE CLASSIC game of all time, Doom, in wallpaper form, and it moves. Think of it as a more pro-active and gun-wielding Tamagotchi and you wouldn’t be too far from the truth of the nugget. Your tiny green marine of future-yore struts around a single screen blowing all hell out of the classic line-up of Doom demons; you attempt to forestall his demise by employing timely taps of the touch-screen. Each tap starts a tiny timer counting down from five to zero, revealing a random care-package of help in the form of traditional Doom icons of interest. Health packs, armour, and even the mighty BFG are included, and the third person view really allows you to appreciate the care and attention James Gittens has paid to ensuring that the wallpaper is an accurate representation of the game itself. Being a live wallpaper means needing to keep a closer eye on battery usage, but such small pains can be forgiven for the sheer amount of unbelievable tension something so simple as a one-tap-at-a-time app lengthens your marines’ lives; with a few more backgrounds or maybe even some simple level structure/arbitrary ‘kill this many to proceed’ rules I could see this app being a full-blown game in its own right. As it is, it’s hard to fault for being anything less than a wonderful homage to a landmark game that takes all its inspirations, awesome and intense, and recreates it into the world’s best wallpaper.